We took a hiatus from blogging as we re-doubled our efforts to build our racial equity programming and our work on personalized learning and equity. 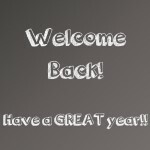 As the 2018-19 school year is about to commence, we are excited to be back on our blog! Watch this blog for new posts and follow the Creative Corridor Center for Equity’s Facebook page for important articles and happenings around eastern Iowa.